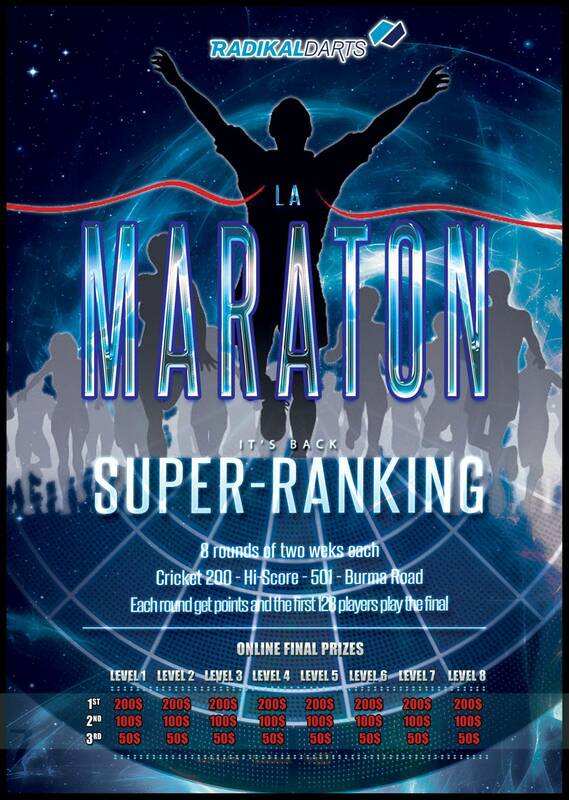 In both rankings the top 8 of each level are classified for the online final. Each round players win points. The top 128 players in points will play the online finals. No Entry Fees - Starts on April 1st. La Carrera points for Radikal Darts Member players.